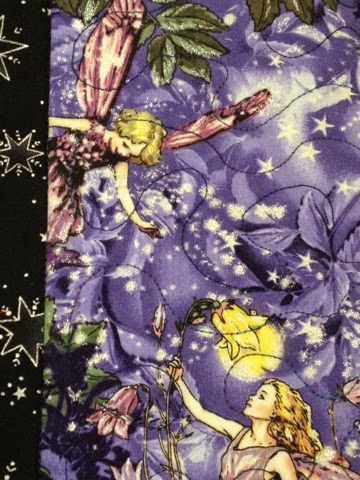 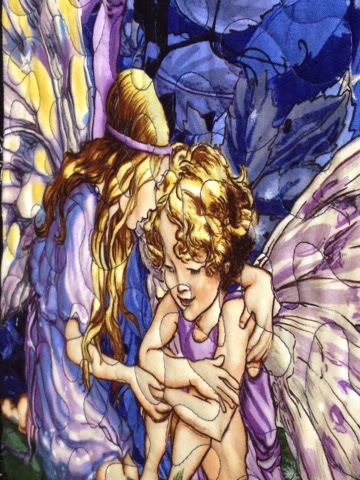 I think this is my favorite panel in this series yet - Night Fairies by The Estate of Cicely Mary Barker, Michael Miller Fabrics. 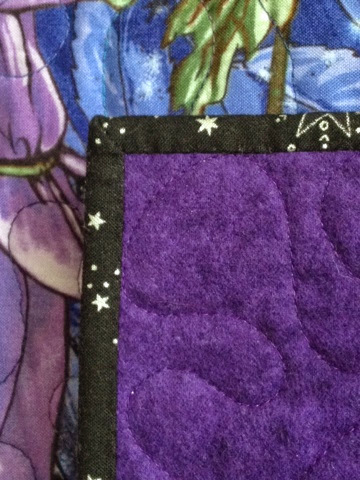 I used the coordinating print for the outside border. 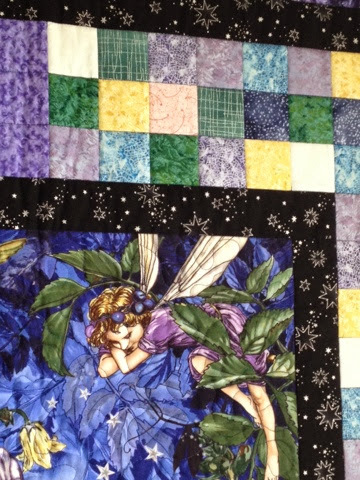 For the backing I used 513 Shadowplay by Maywood Studio EESCO. 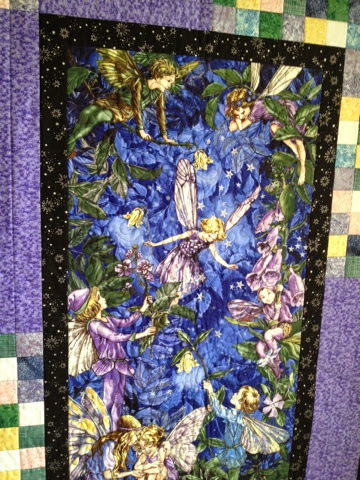 A variety of fabrics from my stash made up the pieced border. 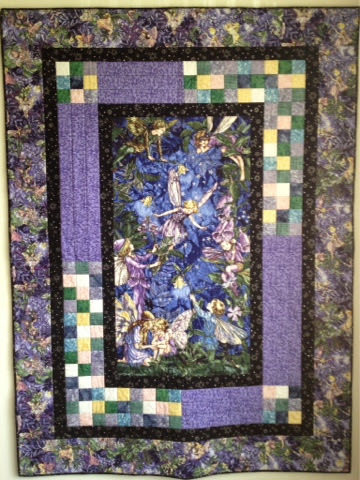 I quilted the panel and the outside border with a meandering stitch.